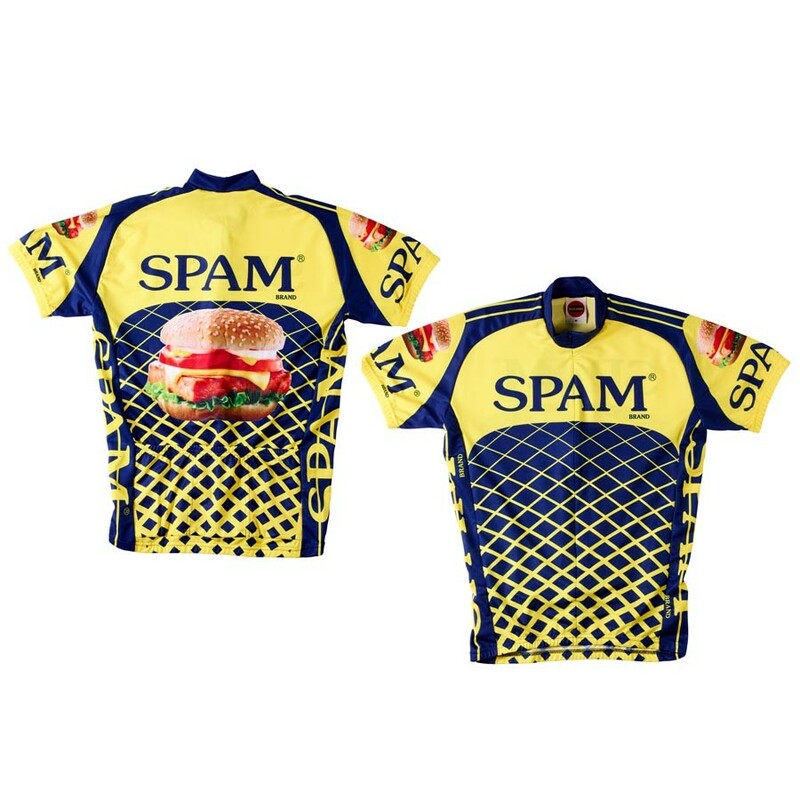 You can be a moving billboard with this colorful SPAM® Brand jersey. Great for the cyclist or the SPAM® brand fan in your family! See matching cycling hat G6846.